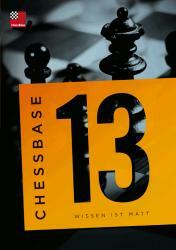 Thirteen might be a lucky number for Garry Kasparov, but it’s not for ChessBase. This column was designed to be a walk-through for installing the latest iteration of their flagship product ChessBase 13. Yet things didn’t go quite so smoothly as I’ve come to expect from ChessBase products.